Lives and property are endangered by incomplete or outdated grounding information and lack of corrective action. Wide availability and strong historical performance mean electrical distribution and safety issues sometimes go unnoticed. Plant managers, however, must still understand the risks posed by aging infrastructure and changes to facilities. Increasing that understanding, particularly in the area of grounding, is the aim of a recently released white paper written by Adele Hostettler and Mark Thomas of Emerson (emerson.com, Round Rock, TX). Writing from their perspective as technicians with Emerson’s Reliability Services group, the authors focused on a number of crucial matters and best-practice approaches associated with grounding systems, starting with the crux of the issue: voltage, and its impact on safety. Voltage and resistance determine the amount of current generated in a circuit. Higher voltage means more current. Current is the source of damage to people and equipment. Three factors determine the level of damage: amount, path, and duration of current. Although no action can eliminate the risks completely, properly installed and maintained grounding can mitigate them and reduce the potential for injury, damage, and expense. • legal and financial risks. OSHA’s general regulation states employers must provide a safe workplace and comply with NEC Article 250, which addresses electrical-system bonding and grounding. Although few regulations cover maintenance and testing, any hazard resulting from an inadequate design, ineffective testing, or lack of maintenance can result in severe sanctions and penalties. Because grounding is primarily for safety, the “grandfather clause” does not apply. Equipment grounds reduce induced voltages on metal parts from nearby power lines and distribution equipment, helping prevent damage from arcing within buildings/structures. Accordingly, any equipment with the potential for static buildup requires grounding. Static buildup develops due to the friction of moving material and can happen on tanks, vessels, and piping. Bonding and grounding help drain static-electricity charges before flashover potential is reached. Electrical-power systems, such as the secondary winding of a transformer, are grounded to limit the voltage induced by lightning, line surges, or unintentional contact by higher-voltage lines. Secondary grounds also stabilize the return path for single-phase loads. If the contact resistance of an electrode to the earth is high, very little fault current can return by that path, and the circuit protection device may not open to clear a ground fault. Then all metal parts associated with the electrical installation—metal piping and structural building steel—could become, and remain, energized. Composition: Clay, sand, or rocks in the soil increase resistance. Moist, loamy soil decreases it. For example, soil containing a high percentage of clay can be an insulator. Sandy soil is an insulator when dry, and loamy soil can be a slightly better insulator. Condition: Wet and dry cycles can cause air gaps to develop in the soil, compromising contact with buried electrodes. Seismic activity, water-table cycles, or equipment vibration can cause conductor breaks or sand migration through soil, resulting in collection around buried objects and changed contact resistance. • deal with identified risks by retesting, establishing a corrected baseline, and developing a compliance program that incorporates testing and mitigation of future risks. Testing the grounding hub. Most industries test equipment grounds annually. Each grounding hub must be tested to verify an adequately low resistance ground and low differentials. The top of the ground post is the hub, which may also be a ground plate/strip in a building. These will be connected to a buried rod, plate, loop, or grid made of steel. At specific places, a connection point is brought to the surface for equipment ground attachment. If individual ground rods are used, they must be made of approved material and sufficiently long to meet regulations. They must be linked into a loop by connecting cables or tested more frequently to verify a sufficiently low resistance differential. Any resistance differential between adjacent grounding points must be investigated and corrected because it sets up a fault-induced difference between adjacent assets on the surface. That situation can cause fatalities. In-ground components, cables, and connections can suffer corrosion and physical damage, negating any protection. Measuring conditions. Ground resistivity can be measured with testers made specifically for this purpose. Properly using the testing equipment requires specific knowledge and training. For in-house testing, computer programs can record, track, and analyze system conditions. For testing not done in-house, contracted electrical vendors can perform tests, analyze results, and advise on required risk mitigation. Relevant analyses and reviews should be conducted by qualified electrical engineers. All grounding systems should be tested at installation for resistance and the differential between such systems and adjacent systems. Results must fall within National Electric Code (NEC) parameters. Note that the NEC limits are for total resistance to a proven ground. Since segments of the grounding circuits are tested separately, totals are calculated for each path and must meet the minimum. Calculations can be complicated, so electrical engineering personnel must be involved in analysis. Differences exist in ground conductor types, e.g., copper bar, stranded copper, copper clad, and braids. Qualified engineers must determine the appropriate application. Keep in mind that changes to electrical loads could require a grounding-system upgrade. Conductor size, connection type, length, and rod dimensions should be recorded for every system part. Good records can reduce the need to re-check size for each implemented change. Most companies have an equipment-grounds testing program. After performing initial baseline measurement, testing frequency should consider soil pH, soil makeup, wet/dry cycling, and historical corrosion rates. A 5- to 10-year comprehensive test schedule might be reasonable for in-ground components. If individual ground rods are used near equipment and not connected to a loop, more frequent testing should be conducted to verify that dangerous differentials have not developed between adjacent equipment. Corrosion monitoring might be needed. Tests should be performed after any extreme ground-fault occurrence—a lightning strike, fire, or explosion. If the protection did its job, verify that protection is undamaged. Proving compliance. 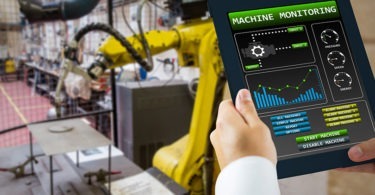 While an OSHA inspector might ask to see inspection records for equipment grounds, the site is responsible for guaranteeing that the hubs to which they connect are effective to the required minimum. In other words, If you cannot prove the grounding system is effective, you are not in compliance. A best practice is to include grounding systems and components in the CMMS MEL (minimum equipment list). This ensures a comprehensive record of a safe workplace. Testing parameters and dealing with results. Concerns during grounding testing include identifying all metallic items underground, any static or equipment grounds that may interfere with readings, and sources of stray voltages from operating systems or utilities. When a problem is found, it must be corrected in a timely manner. To be aware of a problem—and not correct it—is a serious violation of OSHA regulations. As directed by OSHA, any company or municipality must do whatever is required to find and eliminate hazards. Ignorance of a deficiency is no excuse. For example, if access points to in-ground components have been paved or built over, they must be found, made accessible, labeled, and tested. In addition, although it’s commonly believed that building steel pilings are sufficient for grounding purposes, building steel—even as driven pilings—must be tested for efficient and consistent grounding. Soil conditions, corrosion, and physical damage can occur in pilings, as well as in grids and rods. • Don’t perform work on ungrounded equipment. • Always work between grounds. • Report known or suspected problems. • Remove and re-connect grounding elements when performing other work in area. • Keep proper records, even for portable grounds. 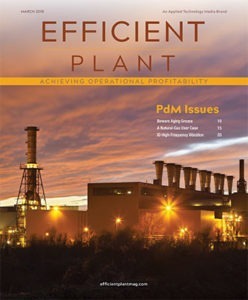 For more information on a range of topics from Emerson experts, go to emerson.com/reliability. • reduce threats to solid state/digital systems (which are extremely sensitive to voltage transients, variations, and electrical noise) to improve their service life and reliability.